This is an original quality part manufactured by Elta. FOR BMW E46. Thread Size:M12 x 1.5. Pressure from [bar]:0.23. Pressure to [bar]:0.43. Vehicle compatibility. Part specifications. Number Of Poles:1. 12617549796 3 Series E92 LCI Coupé 316i N43 (KD11) 01.09.2006 - 0.036 kg. 12617549796 3 Series E92 LCI Coupé 316i N43 (KD12) 01.09.2006 - 0.036 kg. 12617549796 3 Series E93 LCI Convertible 330i N52N (DX32) 01.09.2006 - 0.036 kg. BMW 3 (E30) 320 i 95 KW 1990 CCM. 17 30 5 78. Smoked Universal Oil Pressure & Temp Gauge. Smoked / dark tinted face when the ignition is off. Oil Temp Gauge. No pod is supplied. 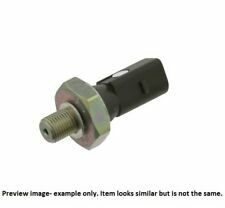 If you do not have an OEM port for the pressure sender or temp sensor supplied, you may require an oil filter adapter plate. This is an original quality part manufactured by Elta. 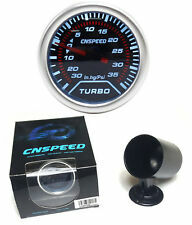 FOR BMW E30. Thread Size:M12 x 1.5. Pressure from [bar]:0.23. Pressure to [bar]:0.43. Vehicle compatibility. Part specifications. Number Of Poles:1. This is an original quality part manufactured by Elta. FOR BMW Z3. Thread Size:M12 x 1.5. Pressure from [bar]:0.23. Pressure to [bar]:0.43. Vehicle compatibility. Part specifications. Number Of Poles:1. Vdo oil pressure gauge. As photos show. Used but nice. Rare item. BMW 3 (E30) 320 i 95 KW 1990 CCM 11. 17 30 5 78. BMW 3 (E30) 320 i 95 KW 1990 CCM 11. You have to compare oe number to make sure. A 160 150 00 79. A 004 545 26 14. A 004 545 24 14. BMW 3 (E30) 320 i 95 KW 1990 CCM 11. 17 30 5 78. 004 545 26 14. 004 545 24 14. 13 54 2 73. A 004 545 26 14. A004 545 26 14. 004 545 26 14. A004 545 26 14. 004 545 24 14. 12 61 1 277 642. A004 545 24 14. If You find there number from Your old part item will fit.If not, item will not fit. 17 30 5 78. BMW 3 (E30) 320 i 95 KW 1990 CCM 11. 004 545 26 14. 004 545 24 14. 13 54 2 73. A 004 545 26 14. A004 545 26 14. FIAT 900 T/E Pulmino (200_) 0.9 26 KW. 100% new items in new packing, un-opened, never used. Retailing on wholesale price with Money-back quality guarantee. Directly from factory with competitive price. Please check the OE number is same with your car part. 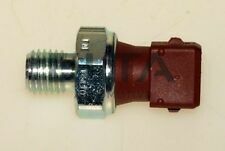 Warranty:Yes OE Number For Reference:11127799225 V20-0957 Application: For BMW. 17 30 5 78. BMW 3 (E30) 320 i 95 KW 1990 CCM. Inner code 500 310. 005 542 90 17. A 005 542 90 17. A005 542 90 17. 12 61 1 277 591. You have to compare oe number to make sure. 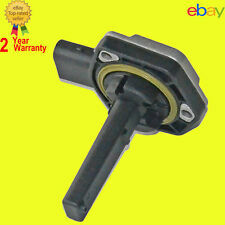 Oil Pressure Sensor Switch 12 for BMW 3 coupe 316 i 318 is 320 323 325 328 M3 3. Inner code 500 307. 12 61 1 277 591. 12 77 5 91.